Are you sick and tired of losing weight and gaining it back? Do you want to lose weight but you’re too busy (or lazy) to make complicated Keto meals? Are you looking for a challenge that would lead to rapid fat loss and offer you the lean figure you have always dreamt of? If you answered yes to one or more of the questions above, please allow me to explain why this book can be the best solution for you. As a person who went through all of the above, I’ve designed the easiest, yet extremely effective 30-day meal plan for those who want to lose weight using the magic of the Intermittent Fasting and the Ketogenic diet but don’t want to spend hours per day in the kitchen. This 30-Day Intermittent Fasting Ketogenic Meal Plan isn't like most other meal plans out there. It is a comprehensive healthy meal prep guide, offering you invaluable insight into the best way to lose weight with healthy, mouth-watering recipes. In this book, you will find over 70 Keto recipes that are healthy, delicious and easy-to-prepare. Some mouth-watering recipes include: Keto Fat Head Pizza with Pepperoni, Bacon Wrapped Peanut Butter Cheese Burgers, Keto Mac & Cheese, Keto Quiche Lorraine, Keto Cream Cheese Pancake, Keto brownies, Parmesan Chips…and much more! Each recipe is using only ingredients that are easy to find and are ideal for burning fat fast, with detailed nutrition facts and net carb calculation. This makes the 30-day Intermittent Fasting Ketogenic meal plan the best way to lose weight! Everything is laid out step-by-step so you can start today and lose weight by tomorrow! •Meal prep guide to ensure you spend less time in the kitchen and more time enjoying your new look! •A bonus fat bombs chapter to help make your life easier! Only 30 Days to a slimmer, sexier you! 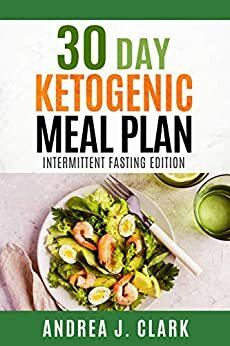 The 30 Day Intermittent Fasting Ketogenic Meal Plan is a revolutionary new life-transformation meal plan that not only will help you lose weight and feel better but also eliminate more body fat - faster than anything you have tried before. Yes, Intermittent Fasting and Ketosis are powerful tools that will help you lose weight, boost energy, and feel better in your own skin. All you have to do is follow the meal plan and recipes I provide and watch as the pounds melt effortlessly off your body. If you get your copy today, in just a few seconds from now you'll have access to all the tools you need to lose weight and get healthy as quickly as possible. Take the challenge! Grab this meal plan today and see how 30 days of the Intermittent Fasting and Ketogenic lifestyle can do wonders for you! THE ONE POT INSTANT POT COOKBOOK FOR BEGINNERS: Easy & Most Delicious One Pot Electric Pressure Cooker Recipes Made For Your Instant Pot with Beginners Guide. I love this Keto book and her take on fasting coupled with Keto. The recipes are easy and the meal plan is great for people wanting to skip breakfast with the intermittent fasting. I first got her book on Kindle but wanted a hard copy to more easily read the recipes, etc. I've ordered many, many Keto books since starting 5 months ago, and this is by far the one I rely on. Been in ketosis for 4 months and feel great. What I mostly recognize as a benefit is my memory- brain fog gone, easy recall of short and long term memory, weight loss and more energy. I was surprised. I don't like dieting. My family and I decided we need to eat a little healthier. Well I decided. I was looking for a book that could give us fun different ideas. So we tried this book. The night after we bought it I decided to try a recipe. The kids loved it. So we have started to follow more. Wow you get great tasting meals but yet they are healthy. I recommend this book for any family that wants to work together to eat better. This book providing some important recipes for meal plan. Providing learning recipes for intermittent fasting. Appreciating approach. 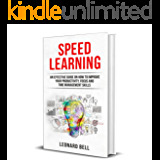 5.0 out of 5 starsGreat information and an easy read. Easy to read adding science and humor. I look forward to applying this change to my life. My friends are raving about it!